Alaska Airlines has announced that starting August 8, it will once again offer service to Mexico City. The airline first started flying to Mexico’s capital in 2005 but discontinued those flights in 2015. 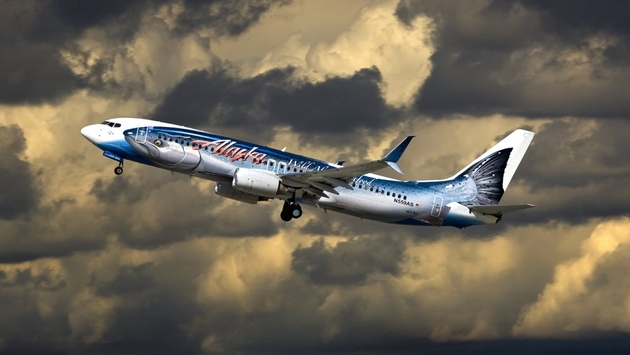 In March, Alaska received tentative approval for the new flights after the U.S. Department of Transportation (DOT) made available 24 slot pairs into Mexico City as a condition of a partnership venture between Delta Airlines and AeroMexico. At that time, Alaska was tentatively granted four slot pairs, including two flights daily from Los Angeles, a daily flight from San Francisco and a daily flight from San Diego. This past Thursday, the DOT officially approved Alaska’s new flight schedule. Approval from the Mexican government is still pending, but the airline says it expects to receive it soon. "We thank the U.S. DOT for its efforts to increase competition in highly desirable markets like Mexico City," said John Kirby, vice president of capacity planning at Alaska Airlines. "With our new service to Mexico City, we continue to grow our footprint in California by offering our valued guests nonstop flights to nine popular destinations throughout Mexico, more than any other U.S. carrier from California." The airline will launch the new flights in two stages. Daily flights from Los Angeles and San Francisco will commence August 8. Then on November 6, the airline will start its new flight from San Diego as well as a second daily from LAX. Los Angeles-Mexico City; departs 8:18 a.m.; arrives 1:55 p.m.
Mexico City-Los Angeles; departs 5:25 p.m.; arrives 7:25 p.m.
San Francisco-Mexico City; departs 9:55 a.m.; arrives 4:20 p.m.
Mexico City-San Francisco; departs 3:15 p.m.; arrives 5:45 p.m.
Los Angeles-Mexico City; departs 12:25 p.m.; arrives 6:15 p.m.
Mexico City-Los Angeles; departs 1:35 p.m.; arrives 3:54 p.m.
San Diego-Mexico City; departs 7:05 a.m.; 12:50 p.m.
Mexico City-San Diego; departs 7:25 p.m.; arrives 9:37 p.m. The early morning LAX flight and the San Francisco flight will operate using Boeing 737 aircraft, while the afternoon LAX flight and the San Diego flight will utilize an Embraer 175 aircraft. With the new service, Alaska now flies to nine destinations in Mexico, including Cancun, Ixtapa/Zihuatanejo, Loreto, Los Cabos, Manzanillo, Mazatlán, Puerto Vallarta and Guadalajara. The airline has seen a rapid expansion of its routes, in particular since it merged with Virgin America late last year. Since the merger, the airline has added 37 new markets to its flight map. For more information, visit www.alaskaair.com.